So the Alamo Bowl has lost a lot of it’s star power with the arrest and suspension of TCU quarterback Trevone Boykin. Still it is a match-up of the No. 15 Oregon Ducks and the No. 11 TCU Horned Frogs who were near the top of the rankings for a good part of the season. 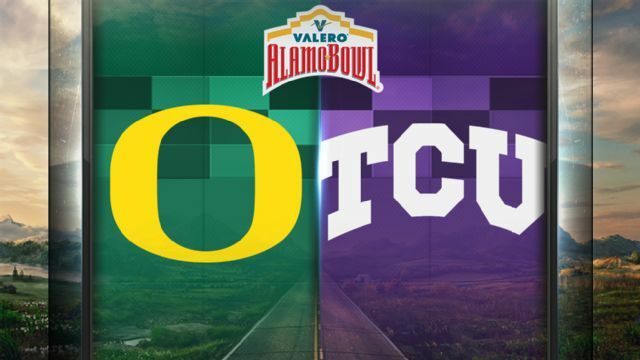 Oregon (9-3) and TCU (10-2) will each be looking to earn the Valero Alamo Bowl victory. ESPN has coverage of this game starting at 6:45 pm ET from the Alamodome in San Antonio, TX. The Odds: After being a pick-em, the line has moved sharply in this one. Oregon is now a 7 point favorite against Texas Christian University. The over/under has remained much the same as it now is listed at 73.5 total points. Will TCU be able to keep this one close as they now enter as the underdog or will it be all Oregon all the time in this one?